US Defense Secretary Ash Carter on Tuesday told his Chinese counterpart that the American military will continue to operate in the disputed South China Sea. 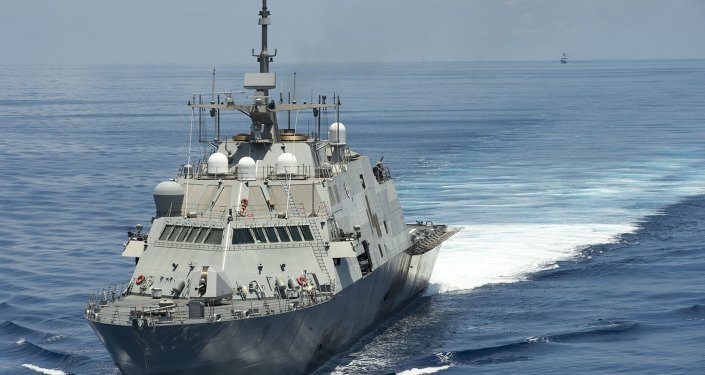 Last week, despite warnings from Beijing, Washington sent a US warship near artificial islands in the South China Sea in a direct challenge to China’s territorial claims in the region. With tensions still simmering from that incident, Carter and Chang Wanquan met for about 40 minutes Tuesday on the sidelines of a regional defense meeting in in Kuala Lumpur. "(Carter) once again reaffirmed that the United States will continue to fly, sail and operate wherever international law allows," a senior US defense official told Reuters. "And he clearly made the case that the South China Sea would not be an exception." The pair also talked about Washington's concerns over alleged Chinese cyber-attacks. In a meeting that was "business-like and cordial," Chang reiterated Beijing's position that the islets are sovereign Chinese territory, as well as its displeasure with the guided missile destroyer USS Lassen's presence, Reuters reported. "They made it clear that they don't like these measures," a second defense official said. "But there was none of the fiery rhetoric that you may have seen in media from other officials." Washington has made it clear that it does not recognize China's sovereignty claims in the areas around the islands it has built, and said last week's patrol was a freedom-of-navigation mission conducted in accordance with international law. The officials said China described a "bottom line," below which it would defend the islands. But Carter and the US delegation saw this as open to interpretation and not an ultimatum that would deter future US sailings in the contested region, Reuters reported. The Philippines, Vietnam, Malaysia, Brunei and Taiwan also have overlapping claims in the South China Sea.